Sit, chill, and relax ... you won't want to get up again! In principle the Sitting Bull looks like a standard beanbag chair, but when reviewed closely it's really much more than that! 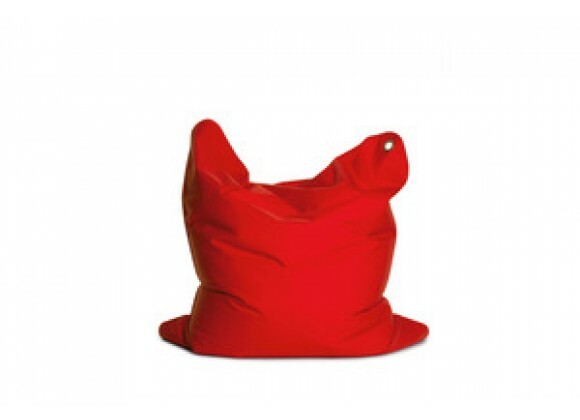 Due to its unique design it can be formed and shaped, at your discretion, for optimal sitting comfort. Its filling is made out of specially produced EPS beads that are extremely durable and higher in quality, and not out of standard shredded Styrofoam waste like most low quality beanbags. Additionally, to Sitting Bull's advantage, the cover material's surface is made of sturdy, high quality Polyester that can be easily cleaned with a damp cloth. But Sitting Bull's real test in quality is when you finally sit in it, and only then you shall know that there is absolutely no comparison! Filled with Polysterene Virgin Pearls. Closure: Velcro 4 inches (10 cm) wide and zipper. Cover is easily cleaned with cold water and soap. Yarn material is made of 100% nylon thread with triple stitching. For indoor and outdoor use but should be stored inside (not for permanent outdoor use or storage). May be used as a chair or small mattress. 55" x 45" x 12"